Yorkshire Day commemorates the Battle of Minden in 1759, when British forces defeated the French, thanks to the King’s Own Yorkshire Light Infantry. The Yorkshire Declaration of Integrity is read aloud in Old English, Latin, Old Norse and modern English in York, while celebrations are held throughout the county. Marching bands and pipers from the Commonwealth and beyond perform in the Royal Edinburgh Military Tattoo. Held during the Edinburgh International Festival, shows and parades take place every night on the Edinburgh Castle Esplanade. Lendy Cowes Week goes back to 1826, when it was launched for George IV, making it the world’s oldest annual sailing regatta. Up to 1,000 boats compete in 40 daily races on the Solent, between England’s south coast and the Isle of Wight. A flypast by the Royal Air Force’s Red Arrows display team ends the week. There is less aeronautical grace at the International Bognor Birdman contest. Watch competitors leap off a Sussex pier attached to eccentric home-made flying machines. Scarecrows resemblingHenry VIII or Elvis crop up in a Yorkshire village for the Kettlewell Scarecrow Festival, with prizes for the most inventive creation. Totnes Orange Race commemorates a south Devon legend about Sir Francis Drake. The 16th-century explorer is said to have bumped into a delivery boy carrying a basket of oranges, sending the fruit rolling down the hill. Today, children race to kick, throw and roll oranges downhill, though the winning fruit must cross the finish line in tact. The feast of St Bartholomew is celebrated with the Sandwich Bartlemas Bun Race. Children run around a chapel and are rewarded for their efforts with a currant bun. Adults are given a biscuit stamped with the Kent town’s coat of arms – for cheering them on. Intrepid swimmers compete in The 33rd World Bog Snorkelling Championships at the Waen Rhydd bog, near Llanwrtyd Wells in Wales. Steel bands, calypso singers and dancers in headdresses parade the streets in London’s Notting Hill Carnival. One of the biggest street festivals in the world, this joyous celebration of Caribbean culture began in 1966. 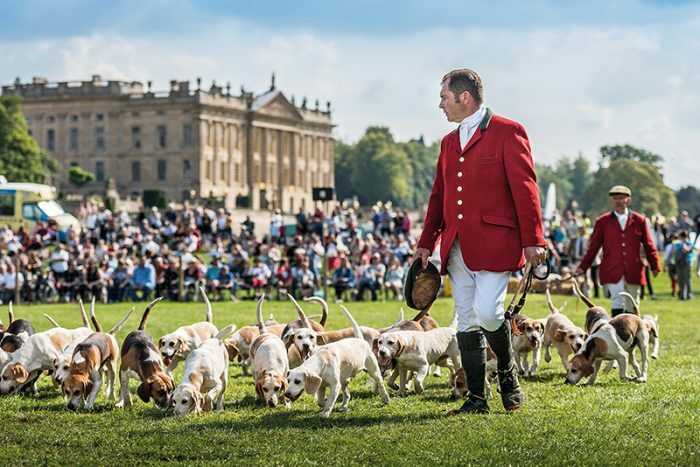 Chatsworth Country Fair brings the best of British to one of the country’s finest stately homes. The Derbyshire seat of the Duke and Duchess of Devonshire hosts falconry displays, cookery demos and craft stalls.